Listen to songs from CD’s albums on MySpace. I am interested in what happens at night, in the creatures who emerge into the safety of darkness, the vulnerable among us who are exploited by those operating undercover. I learn from the contrast between day and night, light and dark, awake and conscious, asleep and dreaming. 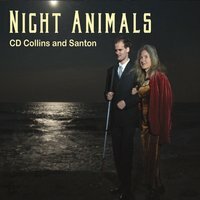 On the front cover, I am walking with my beloved musical partner, Santon. Blind from birth, autistic and a musical savant, he is a shining light among us, and brings joy to all who know him. I write songs, stories and poems and Santon composes music to accompany me on the piano. We invite you to join Santon and I in our collaborative duet, our fragrant, savory garden of words and music, where darkness is just as valuable as light. This controversial new album featuring songs and spoken-word pieces that will transport you to the deepest heart of Appalachia: its troubles, unforgettable characters and its ineffable, endangered beauty. 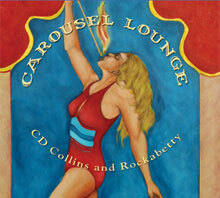 Playlist Research featured the song “Watermelon Pickle” from Carousel Lounge in its February 2009 list Songs with Meaning. Playlist Research is a site that helps webcasters and traditional media find the best music. 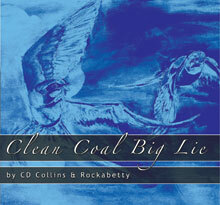 Read a review of the CD. 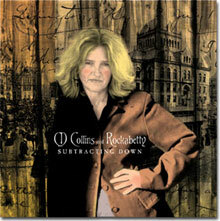 Click to play samples (MP3 format). “Promised Candy,” winner, Best Narrative Poem, Cambridge Poetry Awards. 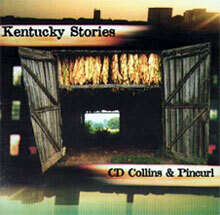 20-page full-color booklet with lyrics and reproductions of vintage Kentucky postcard images. Includes a 20-page full-color chapbook with light paintings.